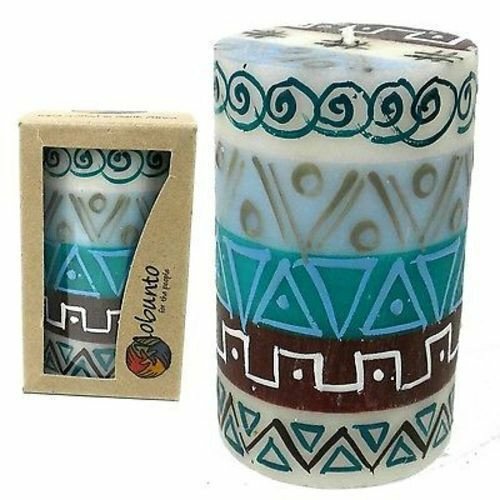 This design hand painted candle was created by South African artisans, arrives in a recycled cardboard gift box. 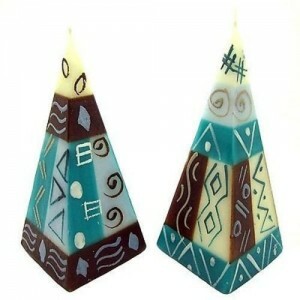 The candle is 4 inches tall by 2 inches in diameter. 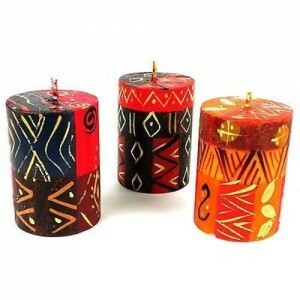 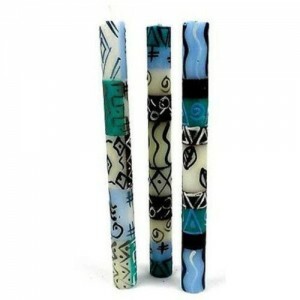 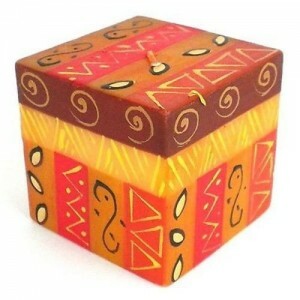 Tags: handpainted African candle, maji design single candle. This hand painted candle was created by South African artisans, arrives in a recycled cardboard gift box. 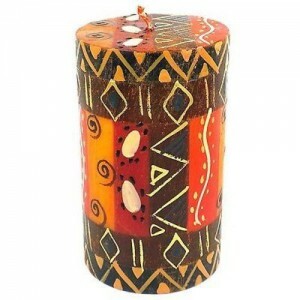 The candle is 4 inches tall by 2 inches in diameter.